With over 35 years, CHUMPOWER has rich experience and innovative capacity in manufacturing precision drill chuck for CNC machine tool. 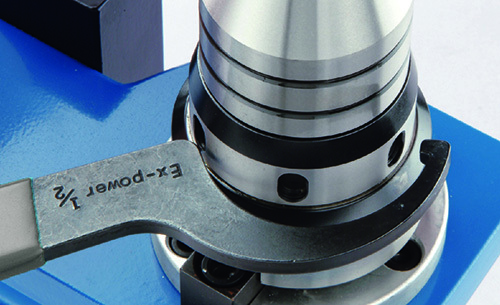 In 2002, we had developed the EXPOWER universal chuck series of universal chuck that is the only clamping tool with the unique character of bidirectional rotating in the industry which had been patented in more than 10 countries. 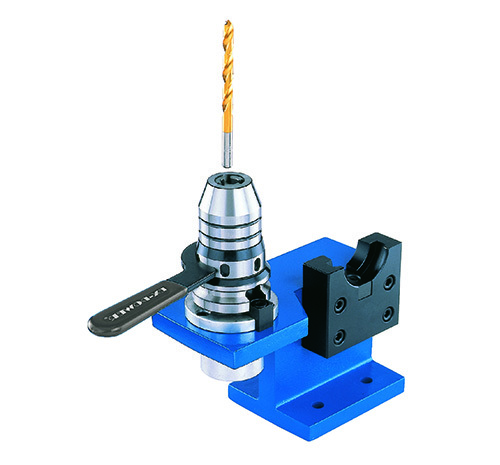 The precision drill chuck is suitable for all cutting tools regardless of drill tool, reamer, milling cutter, turning tool, or tapping milling machine. 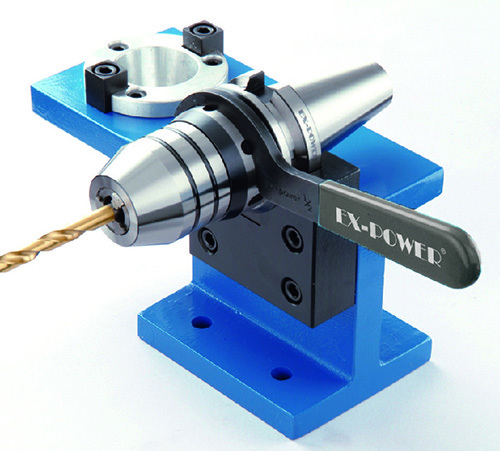 The EX-POWER series is featured by high precision, high clamping, high rigidity, high stability, and rapid tool switching. 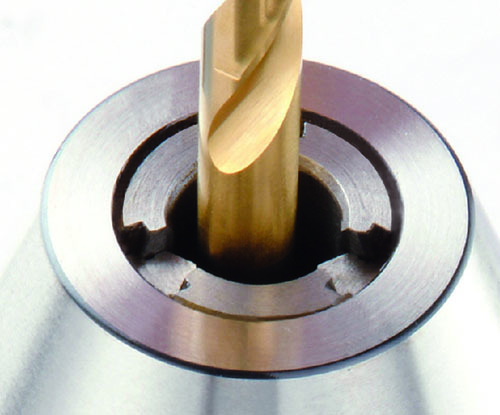 EXPOWER series also have the integrated tool holder that is particularly suitable for heavy cutting process. The inserting depth, the nipping range and fasten force of the tool, and the proper use of the dedicated hook wrench can enhance both the service life of EX-POWER drill chuck and the processing quality. 2. To rotate the ring to adjust the open and close of three jaws. 3. Insert the required tool into the EX-POWER drill chuck. Please pay attention to the minimum clamping size of the tool to avoid loose due to the small tool. 4. Use the attached hook wrench to rotate the control ring and let the claw clamp the tool. Please do not use other wrench to avoid damaging the control ring's notch as well as loose locking of the tool which may affect the function of the product and reduce the processing quality. 5. For safe operation and the increase of service life, please make sure the tool is inserted into the bottom of the jaw, holding at least 2/3 of the depth. 7. Please do not change the cutlery of the EX-POWER drill chuck on the main shaft to avoid serious accidental injury to the user due to insufficient clamping force. 8. Please do not touch EX-POWER drill chuck or the tool in operation, the serious accidental injury may be caused by the machine in operation. 9. Do not use the EX-POWER drill chuck or the tool when there is a broken appearance, damaged appearance, or deformed shape, otherwise it may cause serious accidental injury. 10. Only use the tool when there is no contamination on the tool holder. 11. Please remove the adhesive iron dust before and after use, and do proper anti-rust process to ensure the service life of the EX-POWER drill chuck.